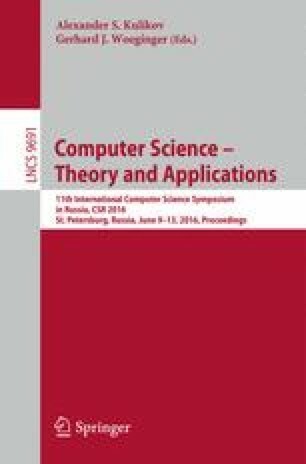 We introduce a quantum-like classical computational concept, called affine computation, as a generalization of probabilistic computation. After giving the basics of affine computation, we define affine finite automata (AfA) and compare it with quantum and probabilistic finite automata (QFA and PFA, respectively) with respect to three basic language recognition modes. We show that, in the cases of bounded and unbounded error, AfAs are more powerful than QFAs and PFAs, and, in the case of nondeterministic computation, AfAs are more powerful than PFAs but equivalent to QFAs. The arXiv number is 1602.04732 . Díaz-Caro was partially supported by STIC-AmSud project 16STIC04 FoQCoSS. Yakaryılmaz was partially supported by CAPES with grant 88881.030338/2013-01 and some parts of the work were done while Yakaryılmaz was visiting Buenos Aires in July 2015 to give a lecture at ECI2015 (Escuela de Ciencias Informáticas 2015, Departamento de Computación, Facultad de Ciencias Exactas y Naturales, Universidad de Buenos Aires), partially supported by CELFI, Ministerio de Ciencia, Tecnología e Innovación Productiva. We thank Marcos Villagra for his very helpful comments. We also thank the anonymous reviewers for their very helpful comments.